Pay As You Go plans are no contract phone plans where users receive cell phone services in an inexpensive, flexible way. These plans are recommended for people seeking the most economical way to have a cell phone. It costs as little as $7 a month for talk, text and data services. In this review, we explain what Pay As You Go (PAYG) plans are, who uses them, how they work, and what features they include. Check out the comparison chart of the best PAYG plans. The best Pay As You Go no contract cell phone plans are available through companies like TracFone, Net10 and Verizon Prepaid. Straight Talk is a popular prepaid phone company that offers only pay as you go monthly plans. PAYG plans are inexpensive, with flexible options to expand purchase additional airtime if needed. Call connections are clear. Below is a comparison of what each company offers, including sample pricing and what’s included. Note: “Per month” means either per calendar month of 30-day period. Some companies use 30-day periods in place of calendar months. We do our best to provide the most accurate information, but this info is shared “as-is” without warranties. Please visit the respective company websites for the most current information. Why Pay As You Go Phone Plans? Cheapest way to use a cell phone. Lots of Pay As You Go smartphone choices, and for regular phones that are non-smartphones. iPhones are available with monthly plans. Flexible options to purchase additional airtime or data usage as needed. Great as backup phones, for temporary use, or as short-term disposable cell phones. 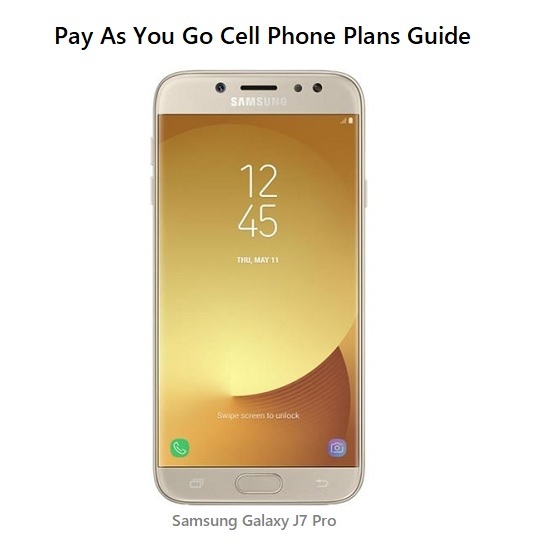 Pay As You Go plans are a type of no contract phone plan where customers will purchase and load up sufficient airtime credits on a cell phone for calling, text messaging, web browsing, as well as to keep the phone’s service active. Airtime credits are defined by a bundle of voice call minutes/texting/data credits, and a period of service time. They are frequently referred to as prepaid airtime, as you pick and prepay for a package of airtime ahead of using it. Exact airtime charges vary company to company. However, they usually come in fixed service periods, such as 60 days or 90 days in length. These periods are important, as they define how long the Pay As You Go cell phone will remain in service. If it is 90 days, then you will need to purchase and active more airtime before service ends to keep the phone service active. Some service periods extend over a whole year. The other component of airtime is the number of minutes/text messages/data credits included. For example, TracFone has a 90 day/60 minutes card. When activated, the phone would have 90 service days and 60 minutes of talk time or 60 text messages or 60 MB of data. With TracFone’s triple minutes benefit that is included with a lot of their phones sold, this expands to 180 minutes of talk time, 180 text messages and 180 MB of data. If more airtime credit is needed, a user can always purchase and activate additional credits. For TracFone users, if any talk/text/data credit is leftover after the initial service period, they will rollover or carryover to future active days of service. This carries through as long as the phone service is kept active. Not all prepaid cell phone companies will allow for rollover of airtime usage credits, so do check on this if it is important to you. For example, Virgin Mobile does not incorporate rollover into its plans. Airtime credits can be purchased online at the cell phone company’s website, over the phone or at retail stores like 711. Some companies also allow customers to purchase airtime directly over their Tracfones. If you don’t use your cell phone much, you could just get by with a $20 card that provides 90 days of service through a provider like TracFone. A year’s service sums up to $80, or just under $7 a month, for talk, text and data access. They also have smartphone-only plans that provide for a higher level of airtime. That’s really quite a bargain for any regular cell phone plan, not to mention as a smartphone plan that includes talk, text and data. Comparatively, it is cheaper than the minimum $10 a month cost of no contract monthly plans. Cell phone users with greater cell phone needs can purchase additional airtime. The per unit (eg. minute) cost will slide down with larger bundles of airtime credit. Once you are spending more than $30 a month in airtime credit with a Pay As You Go plan, it’s time to compare it with an unlimited Pay As You Go Monthly plan option. For example, $35 a month with Total Wireless can get you unlimited calling, texting and 5 GB of data. You are likely able to get more for the same price. To clarify on terminology, some people refer to no contract monthly plans as Pay As You Go monthly plans. With monthly plans, a certain amount airtime is loaded onto the phone each month, while standard PAYG plans have cycles of 60 days or longer. The differences are explained more fully in the Monthly plans section. Pay By The Day is another type of prepaid Pay As You Go phone plan. Generally, Pay By The Day plans tend to more expensive than standard Pay As You Go options. Customers usually pay a basic fee to keep the phone line active. On top of that, on days that they intend to use the phone, they would pay an additional $1 to $3 a day to use it on an unlimited basis. It was more frequently offered in the early days of prepaid cell phone plans, but has become less popular with time. They are best recommended for users who may not use their cell phones a lot, but need to use it extensively on certain days. They could also be good for users who need to use their cell phones a lot, but don’t have the funds to pay a monthly plan upfront. For example, Boost Mobile has a Pay By The Day plan that charges users $2 or $3 a day for unlimited voice/text/data phone use. It works just like their regular unlimited plan, except that instead of shelling out $50 a month upfront, users pay $2/$3 daily. Over a month, it works out to $60 or $90, which is more money than paying $50 upfront. That said, this option has helped many keep their cell phone active until they got their next paycheck to pay for a full month of service. With Pay As You Go plans, consumers can choose between smartphones and basic cell phones or non-smartphones with Qwerty Keyboards or touchscreens and/or slider phones. 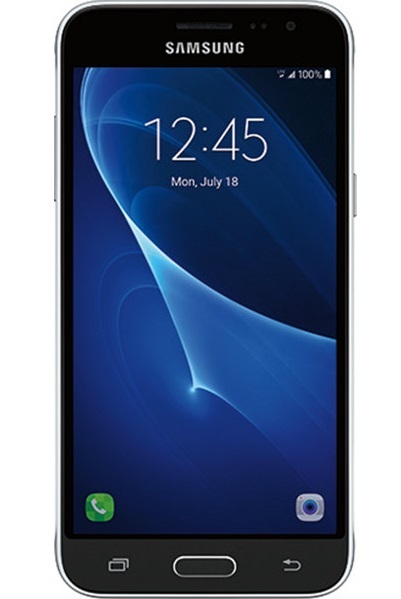 Android smartphones by Samsung, ZTE or Huawei are available. You can purchase them directly from various no contract/prepaid phone companies. Depending on how much you use your cell phone, an Android pay as you go phone can cost as as little as $7 a month to operate (through TracFone’s $20/90 airtime option). There are more and more Pay As You Go iPhone plan options presented to consumers these days. iPhones are mostly supported through unlimited monthly no contract plans, rather than cheaper Pay As You Go options. Pay as you go iPhone plans cost at least $30/month or more. For example, Virgin Mobile has a good selection of iPhones on special offer. Virgin Mobile customers can use their iPhones with one of their Beyond Talk plans, which costs $35/month ($30/month with auto-pay) to get started. Some Pay As You Go monthly plans also support customers who want to use their existing cell phones or unlocked phones. For example, straight Talk has a program that will allow phones from other providers or that are unlocked to operate on their network. Pay As You Go phone plans include features that regular phone plans have, such as voice calls, SMS text messaging and data transfer. Nationwide calling, no roaming charges, as well as convenience services like voice mail and caller ID are often part and parcel of a these no contract phone plans. International calls and text messaging may require additional airtime units than nationwide US calls and texting.